It was all caught on video—but the criminal hasn’t yet been caught. 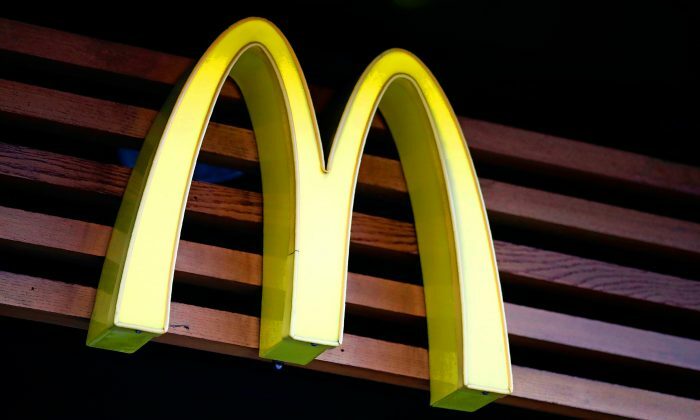 An armed robber tried to hold up the McDonald’s on Wesley Chapel Road in DeKalb County, Georgia, on Jan. 2 but failed in his first attempt. Surveillance video shows the man—masked and dressed all in black—pointing a pistol through the narrow drive-through window. He then tried to reach in through the window to grab the cashier. When the cashier wriggled free, the robber climbed right through the drive-through window. It’s a small window—lucky for the thief he was slightly built. “This subject decided this was a better way to do it. He was small enough to get through the window at the time,” DeKalb police Lt. Lonzy Robertson told WSB-TV. Once inside the store, the thief grabbed the cash-register drawer and climbed back out. Surveillance cameras show him running across the parking lot with the cash box under his arm. A car in the drive-through lane sped away from the scene when the driver saw the man with a gun. Police are asking anyone who recognizes the masked man to help them out with a tip. The video also recorded the robber talking; police hope someone might be able to recognize the thief by his voice. “We can hear his voice, so maybe if somebody recognizes his voice or his description, they can help us out,” Lt. Robertson told WSB. While it might seem like nothing more than a bit of entertaining video, the incident was actually a very dangerous close call. Nobody got shot this time, but if the robber tires again, the outcome could be much, much worse. One customer who witnessed the robbery emphasized this point. “I go there every night to get something to eat. It’s just crazy,” Ju Washington told WSB. While this robber from Georgia might score points for agility, he loses out on originality. A robber from Washington already tested the method in a theft perpetrated here in December. A man climbed through the drive-in window at a McDonald’s on Georgia Avenue in Washington, at 5 in the morning on Dec. 10. He was also clad all in black, wearing a ski mask, and armed with a pistol.